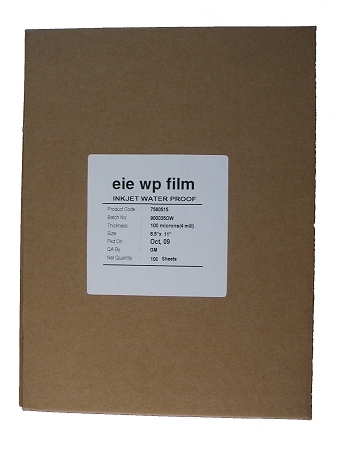 Part Number Waterproof Inkjet Film 8.5" x 11"
Inkjet film can be waterproof or non-waterproof. Waterproof should be used with pigment ink printers, which is most printers. Non-waterproof inkjet film is used with dye based printers, such as the Epson 1400 printer. Non-waterproof inkjet film is less expensive.